Elijah Kihara is the Samaritan’s Purse water, sanitation, and hygiene program manager in Kitui, Kenya. When my team found out that a shallow well in Nguuni had broken down, we went to the small village to fix the problem. When the well was drilled in 2004, the community elected a man to be the chairman of the water source. He and others on the committee were supposed to manage and maintain the well. As we were busy working, the chairman arrived and asked us to stop briefly so that he could give us the history of the well. He said it was serving 350 households before it broke down. 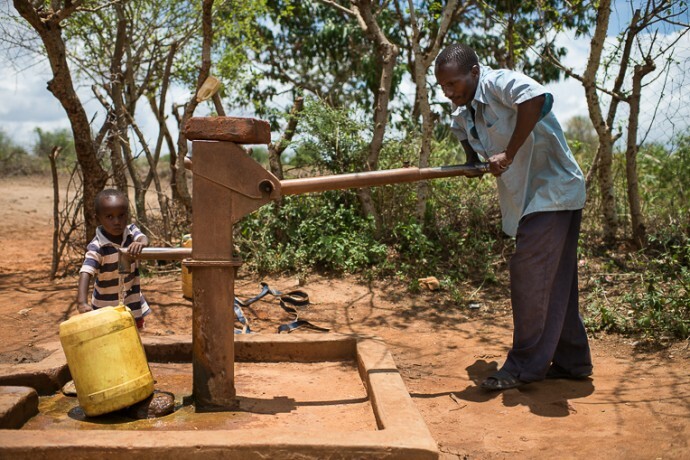 Clean water is rare in rural areas of Kenya. 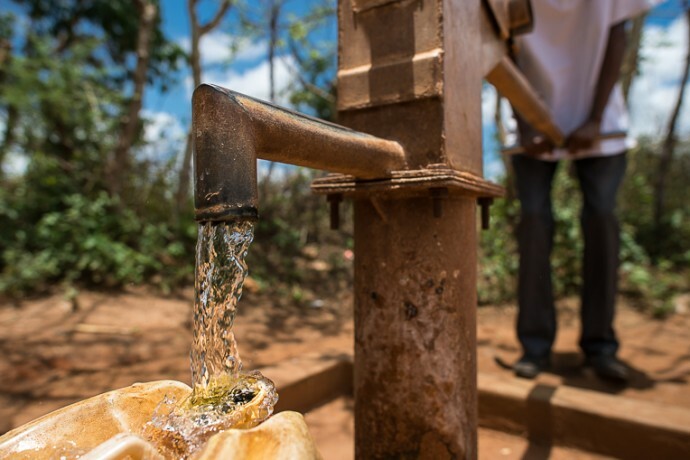 Many people have few options, especially during the dry season, leading them to drink from contaminated sources. “We have tried several times to repair the pump, but we realized that there were evil spirits holding the pipes down in the well,” he said. He went on to tell us how in the past few days they had tried to lift the pipes from the well with 15 strong men, and they still couldn’t succeed. That’s when they started believing other forces were pulling the pipes and began seeking intervention from a witch doctor. To our dismay, the chairman was collecting money from the beneficiaries so that they could hire this doctor to remove the evil spirits holding the pipes. “We believe in Jesus Christ who has a higher authority than witchcraft,” one Samaritan’s Purse staff member said. Our explanation did not seem to go over well with the chairman. He asked us to prove what we were saying. We had a team of three people, and we started removing the pipes one by one. The chairman couldn’t believe it. After removing all the pump accessories, we held a meeting with the beneficiaries who had come to assist us. We took the opportunity to preach the Gospel. Many people accepted Jesus Christ as their personal Savior. After the session, the chairman stood and confessed that he now believes in our God. He promised that he would lead the water committee in repentance. He vowed that the well would remain a testimony to the community that there is a God in heaven who cares for His people. We repaired the pump, and the community is now enjoying a rare commodity in rural Kenya—clean water. We give God all the Glory for revealing Himself to the people of Nguuni. 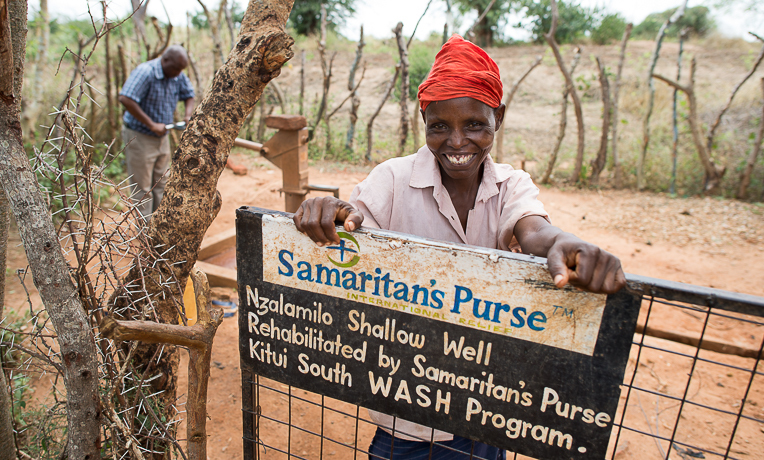 Through clean water projects, Samaritan’s Purse has the opportunity to share about the saving power of Jesus Christ.